Sorry, but Tonosama Mamemon's profile hasn't been translated yet. 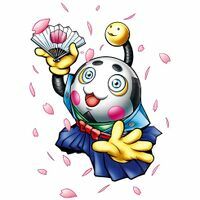 n., Tonosama 「殿様（トノサマ）」 means "feudal lord". 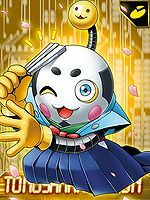 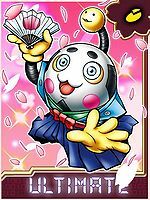 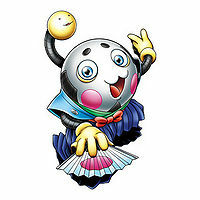 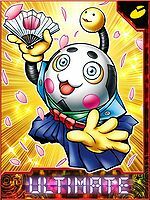 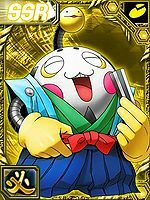 Tonosama Mamemon is only obtainable as a collectible card. 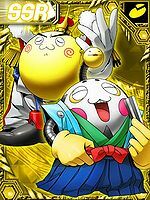 Its card is part of the Mame Guys (マメなやつら Mamena Yatsura) set. 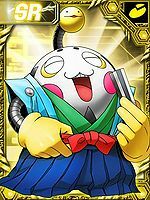 Tonosama Mamemon can be obtained by using the Legume Chip item on any Digimon Child level or above. 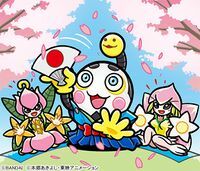 This page was last modified on 21 March 2019, at 17:50.